Capacity building and innovation are necessary for nonprofits to not only effectively deliver their mission now, but to effectively continue doing so in the future. The social challenges we face are ever changing and funding opportunities are growing fewer and farther between. Nonprofits must strive to improve their offerings and test innovative solutions to meet the growing needs of their communities or risk being left behind. As a backbone institution, Fahe deploys transformative resources and expertise to the nonprofits that make up our Membership Network which spans across six states, including the Appalachian portion of Kentucky. By ensuring these organizations have access to the resources they need to thrive, we are also helping our communities thrive. Collaboration has always been one of the strongest ways Fahe provides capacity. By networking local leaders across a wide geographic expanse, we facilitate the sharing of knowledge and ideas among organizations that may otherwise never have met or worked together. These organizations learn from the experiences of fellow members and Fahe, saving them time and money and supporting their success when securing funding or implementing new projects. They do not have to reinvent the wheel; instead, they can access an existing knowledgebase and replicate ideas that have been proven to work in Appalachian markets. Fahe also leverages regional and national partnerships to connect Members with organizations, resources, and training opportunities across the country. Fahe provides opportunities, support structures, and other services to help offset risk for organizations looking to innovate. Appalachia HEAT Squad® (AHS) is a recent project developed by Fahe which provides both capacity and innovation to our Membership Network. AHS began as a pilot program in Kentucky in 2017, with support from NeighborWorks America and the Appalachian Regional Commission. 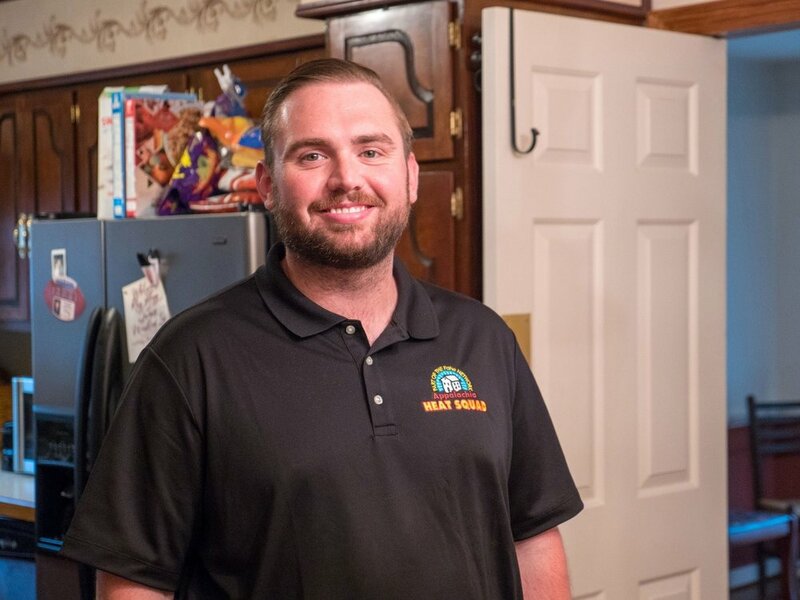 Fahe helped three Kentucky members, who were already skilled homebuilders, acquire necessary equipment and certification needed to conduct home energy audits. Fahe Members Housing Development Alliance, HOMES, and COAP, Inc. work closely together to cover the counties of Bell, Breathitt, Floyd, Harlan, Knott, Leslie, Letcher, Perry, and Pike. Appalachia HEAT Squad Relationship Manager Tyler Johnson on site during an AHS energy audit. AHS is creating new jobs, stimulating market demand and valuation for energy efficient housing, improving the existing housing stock, and generating revenue for the participating nonprofit. Our hope is that AHS can provide a much-needed boost to local economies transitioning away from coal. AHS is moving into Virginia through HOMES and we are exploring expansion into other states. Several years ago, Fahe’s mortgage division, JustChoice Lending (JCL), launched a relationship with a secondary market capital provider that resulted in JCL becoming the first nonprofit third party originator for a broker network comprised entirely of nonprofits. To ensure our Members and other qualified originators could effectively access secondary marketing. 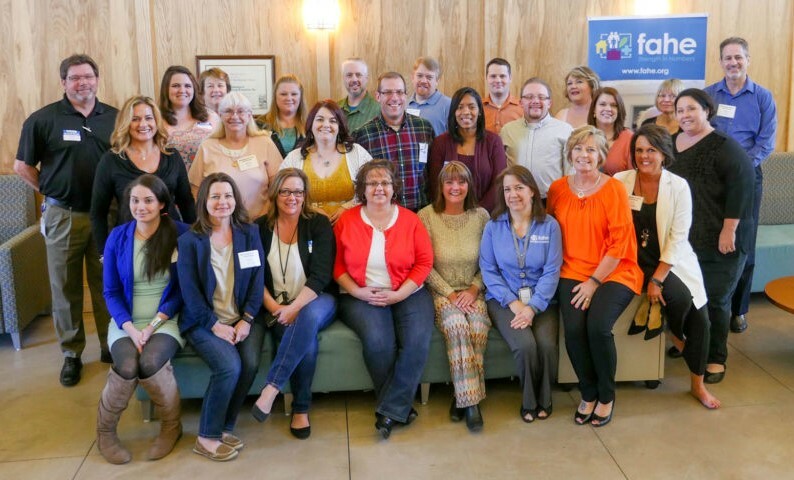 Eight Fahe Member organizations from Kentucky, Tennessee, Virginia, and West Virginia and one Partner organization from Indiana joined Fahe staff for the two-day Broker Bootcamp. In early 2016, we provided a Broker Network Bootcamp to help our Members and other qualified originators learn how to access secondary market capital for mortgage lending in their communities and earn significant revenue as a broker. Through the Broker Bootcamp experience, we learned that our partners’ readiness to become brokers varies greatly; there is not a one-size-fits-all model, and not all members have the staffing capacity to maintain the work required of a standard broker. In response, Fahe rolled out the “Basic Broker” option to give organizations a chance to maintain a market presence, while limiting the amount of work required for a lesser fee. We have had remarkable success with this Basic Broker program and look forward to growing it and the production/revenue associated with it. What does your nonprofit need to explore to build capacity and transform your organization? Jim King, guest blogger, serves as the President and CEO of Fahe, an Appalachian nonprofit Membership organization with a mission to eliminate persistent poverty in Appalachia. Mr. King is a 2006 alumnus of the Harvard University’s John F. Kennedy School of Government’s Achieving Excellence program and 2014 alumnus of the Harvard Business School’s three-year owner/president management (OPM) program. He holds an MBA degree from Eastern University and a BA from Bluffton University. Mr. King currently serves as the board chair of the Opportunity Finance Network. Photography by Aaron Phelps, Fahe marketing manager.